Based on the attention they receive, Millennials who create tech startups in their garages can appear to be at the center of the entrepreneurial universe. This couldn’t be further from the truth, however. The age of entrepreneurship has hit full stride with people of all groups taking steps to start businesses. Mothers are no exception. For those mothers who are ready to take their entrepreneurial ambitions to the next level while maintaining a happy family life, here’s a list of must-read books providing inspiration, potential business strategies and marketing advice to get you started down the right path. Managing business, family and your own personal happiness can be overwhelming, but it is certainly possible! 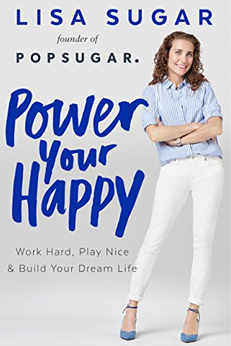 In Power Your Happy: Work Hard, Play Nice & Build Your Dream Life, author Lisa Sugar shares lessons learned from navigating building a multi-million dollar blog-turned-business — PopSugar — with plenty of time for the kid’s soccer games and bedtime stories. Lisa’s book is specifically designed for women contemplating a career change. 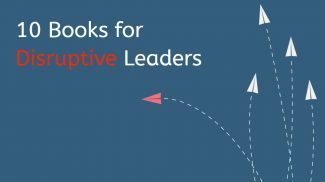 Using the principles she expands upon in the book, readers will be in a better position to define the career that works best for their lifestyles, managing the family life that supports that lifestyle, and doing so in a way that leaves you prosperous, fulfilled and empowered for the next workday. Power Your Happy examines the juxtaposition of relationships, business, parenting, stress, time management and more. If you are a Mom who dreams of creating a business that works for your personal and at-home life, Power Your Happy is the right blend of guidance and advice to get you inspired! Inspired by “#GirlBoss” the popular book currently being made into a Netflix original series, Mom Boss: Balancing Entrepreneurship, Kids & Success encourages moms also balancing a career in business to take ownership of the power they have in their lives. The book is written by Nicole Feliciano, a former Ralph Lauren executive, who left the company to launch her own blog that blossomed into MomTrends, a media company. Feliciano believes that the key to accessing your own “mom boss” powers lies in redefining your personal expectations of the perfect mother or the perfect entrepreneur. They don’t exist. What does exist is your current resources, your drive, your ambition and your vision. 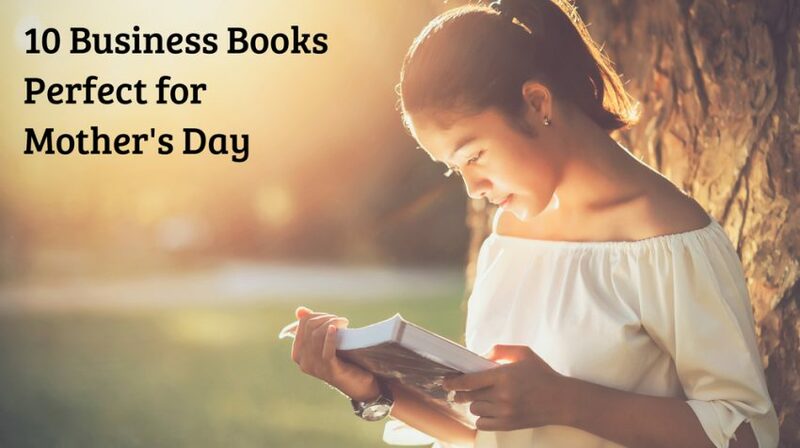 Using these resources, the book guides readers away from any lingering guilt or doubts about becoming a successful mompreneur and into the world of the “mom boss”. The process begins with an assessment of your current resources, interests and personality and continues through the initial issues of getting your business off the ground including marketing, strategy and finances. In the worlds of Twitter and Instagram, keeping up with the Joneses has gone to a totally new level. 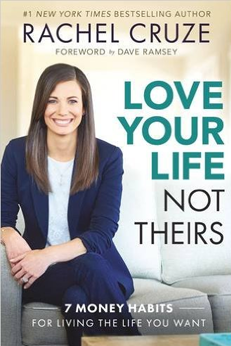 The same principles for a good financial future still apply and that is what Rachel Cruze reinforces in her book Love Your Life, Not Theirs: 7 Money Habits for Living the Life You Want. Rachel Cruze, the best-selling author and daughter of personal finance guru Dave Ramsey, explores how to navigate the new world of financial success in this new world of social media-fueled financial excess. Her book shines a light on the seven most common habits that can sabotage household finances. Her book doesn’t only focus on financial no-no’s, it helps readers gain inspiration and education on what they should do with their money. This financial “re-education” is designed to help rebuild your financial lifestyle and move closer to the life of your dreams. Habits, an area that isn’t talked about much in personal finance, are a defining feature of the book, as readers learn to confront their financial habits and use them actively for their financial good. If you are someone who is struggling with keeping money in your home (or business), this principle-focused book may be able to help. If you think you read the title wrong, you didn’t. 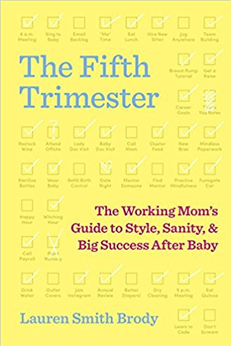 The Fifth Trimester: The Working Mom’s Guide to Style, Sanity, and Big Success After Baby is a guide to the barrage of decisions you have to make after the baby comes home … When do I go back to work? Should I go back to work? How will I go back to work? Will I still be a good mother? Former Glamour editor turned creative and executive consultant Lauren Smith Brody faced a lot of these questions when she gave birth to her children while working at the magazine. Brody recognized that most of society’s attention is focused on the baby’s milestones, not the support system (aka family) that will help the baby move past those milestones. Her book is designed to share her own frustrations (as well as solutions) along with those of other women as they navigate the confusing waters of maternity leave, child care, home management, and the transition back to work. Reading a business magazine can easily give the impression that the only successful entrepreneurs are the tech-savvy, 20-something Millennials who want to create the next Facebook or iPhone competitor. What if you don’t fit into that mold? 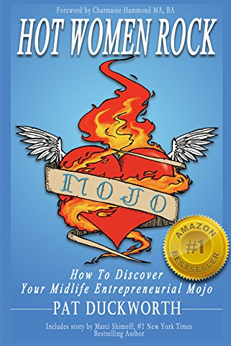 Hot Women Rock: How to Discover Your Entrepreneurial Mojo is designed for those women in mid-life who don’t fit that mold but are ready to make an entrepreneurial change. Making that shift starts with an entrepreneurial mindset and Pat Duckworth, a cognitive hypnotherapist and trainer, delves into the mindset (aka “entrepreneurial mojo”) that will lead that change. The primary purpose of Duckworth’s book is to uncover the mental obstacles that lie between you and your new “dream business” and to direct that energy toward your future dream. Most of us need a little work to get our “entrepreneurial mojo” started and that is what the rest of the book is about. Understand where your limiting beliefs come from and use your current resources to overcome them. After you discover your entrepreneurial mojo, the next step is maintaining it. The book’s last chapter showcases how to keep it flowing. For mompreneurs who are looking to start a larger-scale venture that requires investing, surviving venture capital rounds can be crucial. 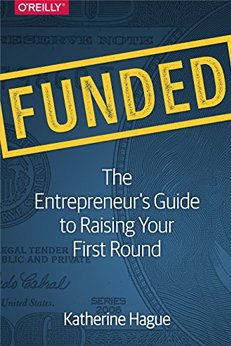 That is where Funded: The Entrepreneur’s Guide to Raising Your First Round comes in. Written by Katherine Hague, founder of a female-powered angel investment firm — Female Founders — the book is designed to help investors survive that initial critical funding round that can make or break a business. Hague is also listed as one of Canada’s Top 100 Most Powerful Women. In the book, Hague takes the time to explain the basics of the venture capital industry and how to use it to your advantage. With this book’s help, readers should get a basic understanding of the VC world, develop a better pitch and create a fundraising plan to carry that pitch should it survive into the next round. Funded also uses Hague’s approach on both sides of the investing table to help readers navigate beyond the most common pitfalls and obstacles as well. Keeping a happy and prosperous home takes more than earning more income. It involves being smart about your money. 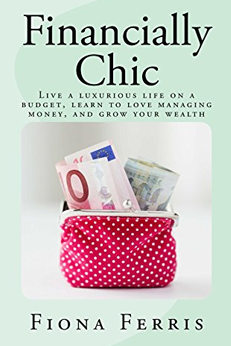 Financially Chic: Live a Luxurious Life on a Budget, Learn to Love Managing Money, and Grow Your Wealth helps readers reach that goal of being smart about their money, although it has a more light-headed approach to doing so. The core message of Financially Chic is that personal finance shouldn’t be an uncomfortable chore that you muddle through in order to be happy one day. You can find happiness wherever you are on the financial continuum (struggling, surviving, maintaining or thriving). The first half of the book helps readers confront their own relationship with money and develop good principles to get started. The second half focuses on what to do with the money you already have so you can appreciate your financial present and the financial future that you hope to build. Sometimes you need a lot of stories to tell one tale. 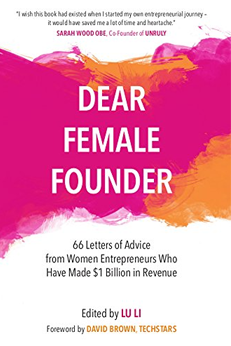 With Dear Female Founder: 66 Letters of Advice from Women Entrepreneurs Who Have Made $1 Billion in Revenue, readers get 66 inspirational stories of powerfully success businesswomen who have reached not just the height of financial success, but also personal fulfillment. This unique collection of stories were collected and edited by Lu Li, founder of Blooming Founders, a startup social network that encourages and support female entrepreneurs. 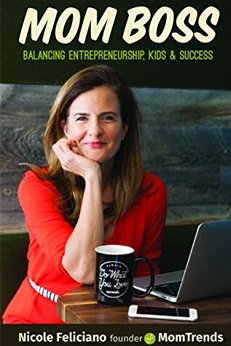 Using her experience in working as a female entrepreneur herself while supporting others, the book’s answer to just one question (“What piece of advice would you give to the next generation of female entrepreneurs?” shows the variety of ways that women have achieved financial, career, and personal success. The advice is drawn from women in various industries-education, finance, technology, nonprofit and others to provide both general and career-specific advice. If you ever wanted to ask one career-defining question in front of a group of businesswomen, this book provides the opportunity to hear what the conversation might sound like. With the focus on motivation and entrepreneurial action on this page, you might get the impression that mompreneurs hop from one task to another at the speed of light in order to get it all done. This is actually a recipe for burnout, not a happy and prosperous life as a mompreneur. 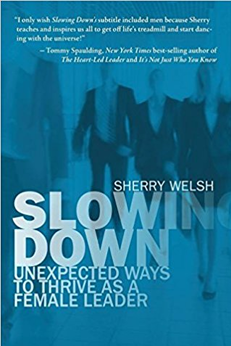 Slowing Down: Unexpected Ways to Thrive as a Female Leader reinforces the idea the concept of moving at a slower pace to enjoy and appreciate life rather than rushing through it. The problem with rushing to get everything done is the chase. No matter how much you do, you will never complete everything on your to-do list and will exhaust yourself in the process. A better approach is to take dedicate some time to appreciation and reflection on your journey as opposed to running to the finish line. This book, which mirrors the author’s own life transition from engineer to coach, shows how you can begin the process of taking your mompreneur journey one step at a time. 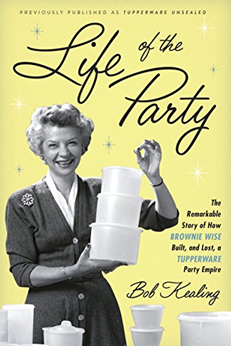 Life of the Party:The Remarkable Story of How Brownie Wise Built and Lost a Tupperware Empire, written by reporter and author Bob Kealing, is the previously unheard story of one of the greatest American businesswomen of all time, Brownie Wise. A divorced mother, Wise was an incredible salesperson who saw the potential of the invention created by Earl Tupper. Her efforts would leave a mark on the world, with her famous “Tupperware parties” which turned Tupperware into a worldwide brand, a viable business opportunity for other women, and a household name. Brownie Wise also left a mark on the Tupperware company she helped to build, launching annual Jubilee employee retreats, costumed graduation ceremonies, and treasure hunts before Millennials thought it was cool. Because of her extraordinary success, Brownie Wise became the first woman to land a cover on Businessweek. Unfortunately, this story ends on a sad note. Babara Wise and Earl Tupper were dramatically different personalities. Although they were brilliant working together to sell Tupperware, a storm was brewing. Brownie Wise’s decision after a storm during a company event put the company in front of lawsuits, which led to her being removed from the company and her company-sponsored home. Besides the small salary she was given, her name and efforts were removed from the story of Tupperware. Life of the Party is a book (and forthcoming movie) about her life that never received the praise she deserved during her lifetime. Many mothers assume that entrepreneurship requires becoming a superwoman who has it all figured it out. As the above books demonstrate, none of these women fit that mold. They all struggled, worried, and doubted but they took that leap of faith anyway. As a result, they were able to actively pursue their dreams, raise their families, and live fulfilled lives. That is the overall message that every mompreneur (featured in the above books or elsewhere) will tell you. Motherhood and entrepreneurship are not some abstract perfect reality. They are things you actively work on, day in and out, to create the business, life, and family of your dreams. It is amazing how the Internet can provide an avenue where moms can make money from the comforts of their own home. I think that more mompreneurs is also good for the small business industry. 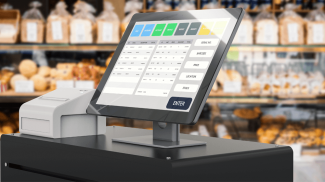 It shows that even small business owners are supported and that customers are supporting even small-time sellers or brands. Mompreneurs can be so inspiring. They are able to launch their own business out of their passion even if they have to do tons of things at home. Wow great list of books. You will glad to know that my hobby is reading inspiring and adventure books. But in my real life, my mother does everything for me when it comes to inspire, she inspire men; when it comes adventure telling she tells; and whenever I make mistakes she warns me. I love my mom so much. 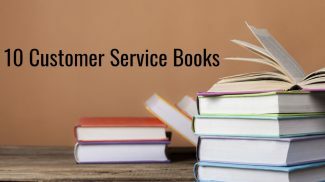 Thank yo much for awesome list of books for mompreneurs, Charles. I am grateful to you for this great work. It would be great if I could read it.